Saturday, February 15, 2003. Henry Perowne is a contented man - a successful neurosurgeon, the devoted husband of Rosalind, a newspaper lawyer, and proud father of two grown-up children, one a promising poet, the other a talented blues musician. Unusually, he wakes before dawn, drawn to the window of his bedroom and filled with a growing unease. What troubles him as he looks out at the night sky is the state of the world - the impending war against Iraq, a gathering pessimism since 9/11, and a fear that his city, its openness and diversity, and his happy family life are under threat. Later, Perowne makes his way to his weekly squash game through London streets filled with hundreds of thousands of anti-war protestors. A minor car accident brings him into a confrontation with Baxter, a fidgety, aggressive, young man, on the edge of violence. To Perowne's professional eye, there appears to be something profoundly wrong with him. Towards the end of a day rich in incident and filled with Perowne's celebrations of life's pleasures - music, food, love, the exhilarations of sport and the satisfactions of exacting work - his family gathers for a reunion. But with the sudden appearance of Baxter, Perowne's earlier fears seem about to be realised. I've read mixed reviews of this, but I enjoyed it as much as Atonement. This is a writer at the peak of his descriptive powers! Welcome to the Saturday bookring. We now have 7 new members. I sent the bookring to mrsbridgewater on Wed 13th April and hope it reaches you all safely :-) Happy Bookring Reading! Please remember to journal the book BOTH when you have received it (so we all know where it is) and once you have read it (so we all know what you thought of it). Arrived this morning - I just have to finish the two books I am currently reading and then I'll make a start on this. I heard bits of the serialisation of this on Radio 4's 'Book at Bedtime' even though I tried to avoid hearing it as I knew I wanted to read the book. What I did hear intrigued me! 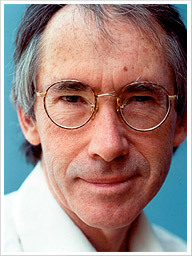 The only other Ian McEwan I have read was 'Enduring Love' which I enjoyed greatly. Thanks for setting up this ring! I found parts of this book really fantastic! Excellent description, brilliantly written, but at times I found it really heavy going - I never really cared *that* much about Henry Perowne, so reading some of the minutiae of his life was a bit of a chore. I think this is why the radio adaptation that I heard bits of worked so well - you could dip in and out of concentration more easily. Thank you for sending it - just waiting for an address and I will post it on! This arrived today. I have one other book that I *must* read first - I'm meeting the author next Monday - and then I will get right on with this one. An exceptionally well-written book and particularly interesting to read just at the time when the Iraq war and the Attorney General's advice to government are such hot election issues. I'm impressed, also, by the sheer amount of research that McEwan must have done into neurosurgery and medicine to be able to write the book. He must also be a very serious squash player or have done even more research to write the squash game section, I think. I didn't find the protagonist to be someone that I related to very strongly, but despite that the book made it interesting to 'see inside his head' - it's not often another person's thought processes to be laid out in such detail. Will put it in the post to skribble this morning. This book arrived yesterday. Unfortunately I've got rather a large book to finish first but I should be able to start this in the next week or so. I've loved all the other four books I've read by this author so I'm really looking forward to this. Thanks also for the bookmark, postcard and discussion notes! I love reading McEwan, his writing skills are amazing. I love the way he is so precise with his language that you're almost concious of the thought that went into every word and punctuation mark. Having said that, in the previous four books of his that I have read, I found that the almost constant sense of foreboding and tension made them uncomfortable reads. This book makes much more limited use of these elements which I really appreciated. I am surprised that previous readers didn't relate to Perowne. I found him incredibly human, real and normal. he's an ordinary guy, not a hero, intelligent and concious that he is fortunate in life. He reminded me both of my father and my boss - two of the most inspirational men I know in real life, so I couldn't help but like him. Appropriately enough, I read most of the book on Saturday as my husband and I went about our chores and prepared for a visit from my parents. I recognised the relationship between Perowne and Daisy as there were many similarities to how my father & I relate to each other (we had a very similar discussion over the war!). If you swapped the Blues for Cricket, Theo could easily have been my brother. Another thing that I really liked was the perspective it gave on marriage. It's so rare to see an honest yet positive view on how marriage can be. often we're either presented with the fairy tale or a cynical or pessimistic view. Actually there's so much that I liked about it I could go on and on! This book has got my mind working, and I've been back to re-read certain passages. I'm tempted to by a personal copy, but think I may wait a few years because it will be interesting to see how I feel about it when its time feels more historical than it does now. Thanks Caro1 for giving me the chance to read it. It will shortly be on its way to Jenatleisure. My life is so busy at the moment and moving so fast that at first I was irritated by this book. it just didn't seem to get going, well not at my pace. Then I started to relax into it and let the story unfold at its own pace and as some of the other readers found the descriptions lovely. I really liked his description of Henry's marriage. One quote I remember "the bigger you think the crappier it looks" seems appropriate. thanks for sharing this book with us Im just waiting for the next address then it will be on its way. Just before I started reading Saturday, there was an interview with Ian McEwan and Anthony Gormley (an artist who happens to be the next door neighbour of friends of mine) in the Independent, which I have cut out and sent on with this bookring. Hope people find the article of interest - I especially liked the photograph of our author in the wilderness - and that it gets back to Caro1 in one piece! Thoroughly enjoyed this book and had to drag myself away from it over the past couple of days in order to do some other lovely things while on holiday (lucky book has been to Brussels and London with me). A complete page turner for me, although towards the end I was really not wanting to find out what was going to happen, but just had to keep going. Enjoyed the sense of the everydayness mixed in with the extraordinary, and how Henry's pretty ordered life was disrupted. Ready to send on to Chelseagirl as soon as I get her address. Chelseagirl wanted to be skipped for now, so sent off to Nice-cup-of-tea today. Just received in the post today from psychojo - thanks! Will start reading asap, thanks to Caro1 for starting the bookring! I "really" enjoyed this novel, just amazing! A very satisfying, thought provoking read. 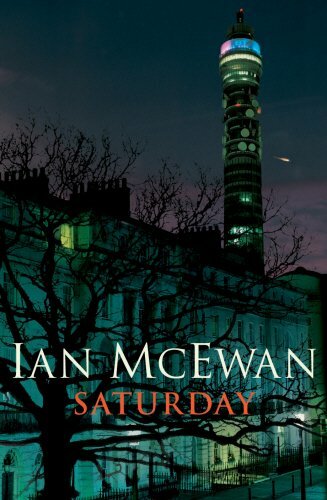 I loved McEwan's writing style and the stylistic device that contained all the action in one day. I admired the character of Henry and particularly enjoyed McEwan's portrayal of his marriage. To a hopeless optimistic romantic like me, it reassured (or pleased me?) to see that a marriage could exist that long and happily :-) Definitely a book for my PC to read again! 27 "But is there a life-time's satisfaction in twelve bars of three obvious chords? Perhaps it's one of those cases of a microcosm giving you the whole world (...) When player and listener together know the route so well, the pleasure is in the the deviation, the unexpected turn against the grain. To see a world in a grain of sand." 28 "The music speaks to an unexpressed longing or frustration, a sense that he's denied himself an open road, the life of the heart celebrated in the songs. There has to be more to life than merely saving lives." i find this amusing ironic, most people would say that they wished they had spent their life doing something more worthwhile, ie saving lives! 129 "But to do its noticing and judging, poetry balances itself on the pinprick of the moment. Slowing down, stopping yourself completely, to read and understand a people is like trying to acquire an old-fashioned skill like drystone walling or trout tickling." This really appeals to me, the idea that you have to slow down and really appreciate the small things in life. It links well to In praise of slow which I've just read, about the benefits of slowing down in our hectic world! Thanks to nice-cup-of-tea for sending this to me. It's got a very high place in my mount tb. Like Virginia Woolf's _Mrs Dalloway_, _Saturday_ takes the reader through a single day. McEwan's protagonist is Henry Perowne, a neurosurgeon, and the stream of consciousness envelops us in his thoughts so that the book, and the events which occur in the evening are utterly compelling. Will PM SwanofKennet for her address. Posted to SwanofKennet on Monday 24th October. 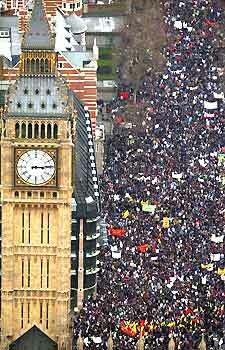 It's Saturday, 15 February 2003, the day of the great demonstration against the impending Iraq war. For Henry Perowne the neurologist and his talented family life is comfortable, secure, and effortlessly successful. Yet as he weaves his way through a London Saturday, preparing for a faamily gathering against the backdrop of the anti-war protests, violence creeps under the defences and threatens to destroy everything. There's very little action but we climb right inside Henry's mind as his story builds slowly but relentlessly to a terrifying climax. A mesmerising read, breathtakingly well-written. On to emilythegoat as soon as I have her address. Sorry it's taken me ages to journal this... thought I'd done it. It arrived safely by post a couple of weeks ago. I've started reading it but unlikely to have much time until the xmas hols, will post early January. I also really enjoyed the way the action was slow paced and that the whole plot took place all in one day. There was tension but as someone said, not to the same extent as in other McEwan books. Some of the things that I feared would happen never did, and I felt a sense of relief at the end! Thanks Caro1 for the opportunity to read this book. I hardly know what to say about this; I really didn't like it, but am at a loss to exlain why. I love other McEwan books - The Child in Time is one of my all-time favourites - but I found this unsatisfactory. Sorry to sound such a negative note, expecially as I am unable to articulate my objections, but I'm very glad to have had the opportunity to read it. I received the book today, thanks flanners. :o) I'm in the middle of a book at the moment but once I've finished it I'll make a start on this. Thanks also flanners for the gorgeous pink heart you sent with the book, and for your lovely note. You really brightened my day. I really enjoyed reading this book. I wasn't sure about it in the beginning but once I got into it I couldn't put it down. I did wonder if the book would be long-winded and boring when it was all about one day in an ordinary person's life, but it wasn't at all. I loved being inside Perowne's head and seeing things through his eyes, I found him to be a likeable character. The descriptiveness is what made this book, I thought all the small details were great. I've already PM'd cloggy and been sent her address so I'll post the book off as soon as I can. Got it! Thanks Sunflowergirl and Caro1 for sharing. Just need to finish my current book and have one bookring book ahead of it, but I'll get to it soon. Ok, I'm taking a deep breath before writing this, as I think most people might disagree with me, but I did not like this book at all. The first 70 pages were about Henry's life as a neurosurgeon, full of technical terms that I was not familiar with, and to be frank, just not interested in either. It made the book very dull. I didn't think it got better after that. I was never interested in Henry or his surprisingly wonderful live, with his two wonderfully talented children, his lovely wife and his great marriage. I was hoping something would happen to tear this all apart and display the strains that surely lie within each family. But..... no , let me stop here and not spoil it for the next readers. I'm probably more negative than I would usually be, as I'm a huge fan of Ian McEwan, have read almost all his other work and Enduring Love is one of my favourite books. This was disappointing in my opinion. But other readers, please do not let this put you off, most previous people on the ring and the critics loved it. And thanks Caro1 for letting me have a chance to read it. Arrived safely, looking forward to reading this! So far I've been reading this at bedtime for the last fortnight and have only got to page 56, and I'm finding it extremely hard-going - in fact, I was all set to give up and send it on to the next on the ring. hwoever, as I'm the last, and most people have loved it, I'm going to put it aside for a while, read a couple of other books, and then come back to it and try again. Hope that's okay! Well I persevered and eventually finished this and though I can't say I ever really enjoyed it, I did find it interesting and worth the effort, though only just, I'm afraid. Because this is set in one single day McEwan goes into extraordinarily minute detail about every aspect of Henry's life and work and I found it rather tedious to start with, especially as I didn't feel particularly drawn to any of the characters except, perhaps, Leo. I really didn't see where the novel was going or even what the point of it was! However, as Henry's day progresses I becamse a little more curious about how it was going to end up and by chapter (part?) 4 I was hooked and raced through to the end. I really liked the way that you could see, eventually, how all the little events linked together and affected everything else - although as I said, I found the attention to detail a little overwhelming. So, overall, an interesting novel, but not one that really excited me much, I'm afraid. But I almost liked it enough to want to take a look at some of this authors other novels, so that's got to be good! I'll pass this on to miriamsemail as soon as I have an address, though I'm going away next week so there might be a short delay. It kind of rambles - like a long Saturday afternoon. But there is a nice pace and feel to the book. The hero or anit-hero is credible and you get real insight into his world. There is an interesting subtheme about the personal and the global and which is more important and how things can shake you out of complacency. A good read and one I would recommend as it is so "of its time". Ill be posting it back to Caro1 to close the ring today.